Dr Gillian Knight, Head of Biosciences at the University of Derby, who led the study, said: "HPV is a very common infection, with around 80% of adults being exposed to a genital HPV infection by their mid-twenties. We already know that this high infection rate influences the likelihood of women developing cervical cancer, but what we don't know is how many people who have an oral HPV infection go on to develop HPV head and neck cancer. "In the UK, we only vaccinate 12-13 year old girls with the HPV jab to prevent them from picking up the high-risk strains of HPV when they become sexually active, which hopefully will prevent in girls all HPV-related cancers, including cervical cancer. "We do not vaccinate boys even though they have the same risk of contracting HPV infection as women and a recently identified risk – higher than in women – to head and neck cancer. 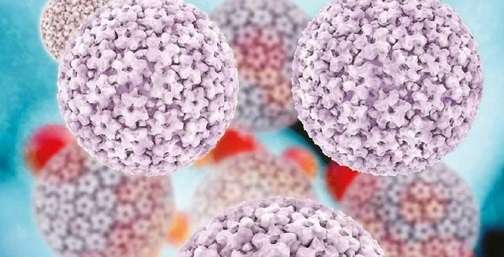 Patients presenting at head and neck clinics with HPV-associated cancers are steadily increasing, particularly in white males under the age of 40. "The reason why men in the UK are not given the vaccine is that rates of HPV head and neck cancer are currently not as high as cervical cancer rates, but as the numbers of HPV head and neck cancer increase, there is a call that the UK follow other countries and start to vaccinate their boys." Dr Knight added: "As part of the future research at the University of Derby, we are working with the Royal Derby Hospital to investigate the rates of HPV infection in patients attending the head and neck clinics to determine the rates of oral HPV infection in a wider age range."